With the success of Indian Cricket League in recruiting domestic and international talents, Advertisers and markets, the lifeline of all sporting events, have also begun to look at ICL as an opportunity. On an average, international cricket matches featuring India cost between Rs 1-2 lakh for a 10-second commercial spot, depending on the channel and the team India plays. However, for the ICL’s first season, the cost is expected to be half of that amount. 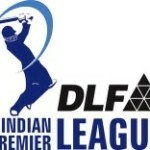 Advertisers looking at the league include consumer durables makers Videocon and LG, fast-moving consumer goods company Hindustan Unilever and even telecom service providers. These firms have some of the biggest advertising budgets in corporate India. As everybody knows, BCCI is going to ban anyone who involves in ICL. Now the question arise, Will BCCI be able to stay away from the companies who sponsor or promote ICL? I am eagerly waiting for the BCCI’s stance on this issue. Until then let us see what the people associated with these companies says. We are definitely interested in associating ourselves with ICL. A committee is already in place and negotiations are on. We are exploring ways to associate with the league. If our consumers are interested in the Twenty20 format, we will definitely associate ourselves with the league. The league was a vertical integration of cricket into a shorter and faster format. Anything to do with cricket would always find a market, unless it was mired in a dead format like Ranji and Duleep trophies. Manish Porwal, managing director India (west and south) of Starcom, media buying outfit of communications giant Publicis Groupe. The league provides a fantastic opportunity for corporates who want to invest in the game but do not have the mega bucks to bag title sponsorship deals in international cricket. I have got the answer of my above question. Money Hungry BCCI said on Thursday that the decision to debar players joining the rebel Indian Cricket League from its activities would not apply to its sponsors. Now, it becomes clear that BCCI is just after money, they don’t want to block any source of income but always ready to block outflow of cash by giving excuses for e.g, anyone associated with ICL won’t get pensions and benefits.